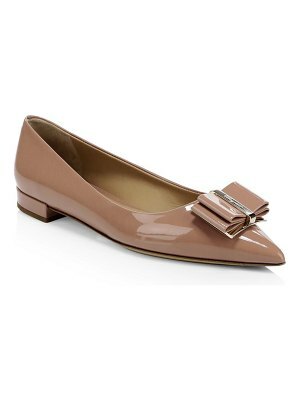 An oversized, structured bow accents the peep toe of these metallic PVC Melissa flats. Sliver wedge. Rubber sole. Fabric: PVC. Imported, Brazil. This item cannot be gift boxed. Measurements Heel: 1in / 25mm.